Mobile couch potato with a side of micro-brew? 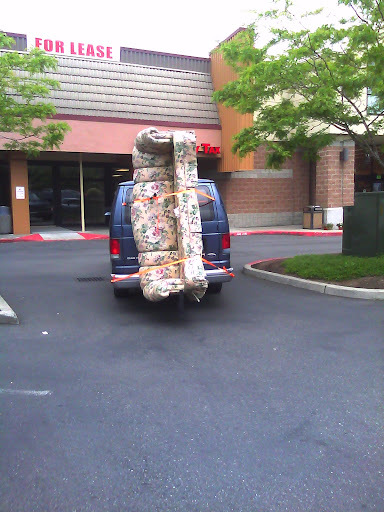 One of the strangest couch hauling methods I've ever seen. The guy with this bragged about how they had TV's for both sides and a dvd player with surround sound. It is a neat idea for sure, but you could leave the TV's off and have more people paying attention to the awesomeness that it is all by itself. Just a little side note: My wife and I recently decided to splurge and get a burger out at a local place. They had TV's on every wall and they were so distracting neither of us really paid much attention to each other, I hate TV's because of that. I don't even watch sports, but here I was mesmerized by baseball, BASEBALL!!! I hate TV. So between these two all we are missing is the BBQ trailer and we would have the ultimate mobile party. Burning Man here we come. 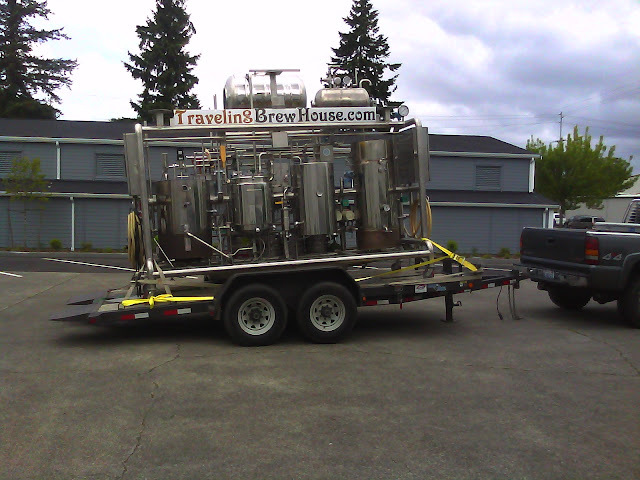 Now if we could just minimize the brewery a touch more, just enough so I could pull it behind my bike. Quite a random day for me.